Economic growth and education are the main priorities for the new leader of Argyll and Bute Council. LibDem Aileen Morton took up the top job at yesterday’s first meeting of the full council. The mother of two has been a councillor for the Helensburgh Central ward since 2012 and was Policy Lead for economic development during the last term. She said: “I fully recognise the responsibility of being chosen to lead Argyll and Bute Council at this critical time. My key priorities will be to fully exploit the potential for economic growth around our area, and to support our vital public services, especially education. 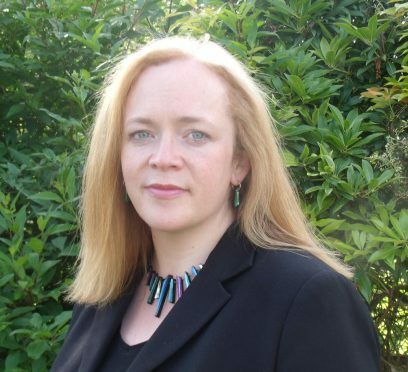 Ms Morton is the LibDem Westminster candidate for East Renfrewshire. The Argyll council is being ruled by an administration known as The Argyll Lomond and the Isles Group (Talig), which is a coalition of independent, Conservative and LibDem councillors. Conservative Gary Mulvaney has been announced as depute council leader. He has been a councillor for 14 years and is a director of a business in Helensburgh. The father-of-one was previously Depute Policy Lead for Strategic Finance. Len Scoullar from the isle of Bute retained his position of provost and Roddy McCuish of Oban was named depute provost. The council agreed a committee structure, which will see area committee meetings reduced from six a year to four. SNP councillors said this was reducing public participation, while the administration said that people can engage with the council in other ways.